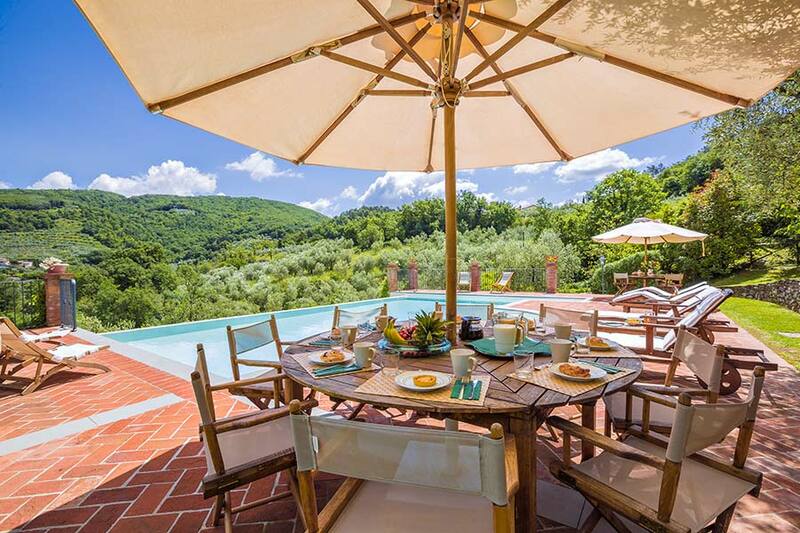 Villa Vaticano Tuscany is a luxury eighteenth century Tuscan villa with exclusive pool, the ideal accommodation for family and group vacation (for 15/19 people). 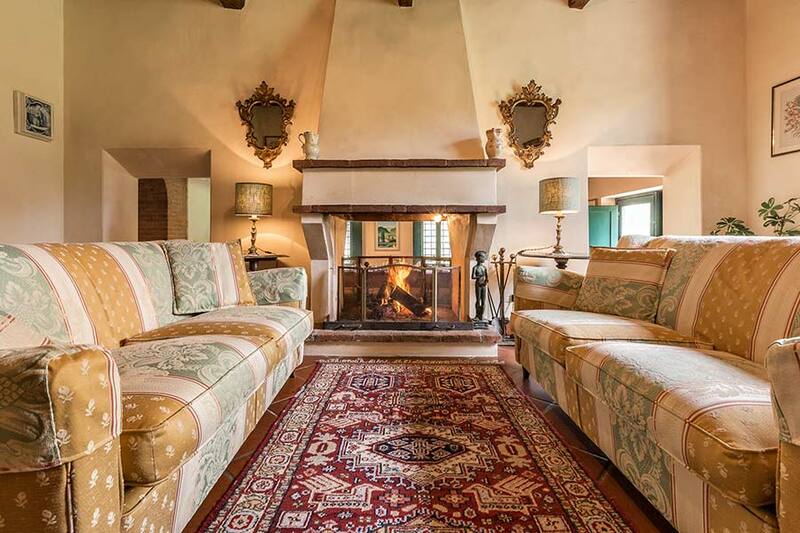 “Love of Tuscany and its traditions, care of details, a refined but family atmosphere, fidelity to the authentic style, the art of welcoming to and living in Tuscany… all this is Villa Vaticano Tuscany”. 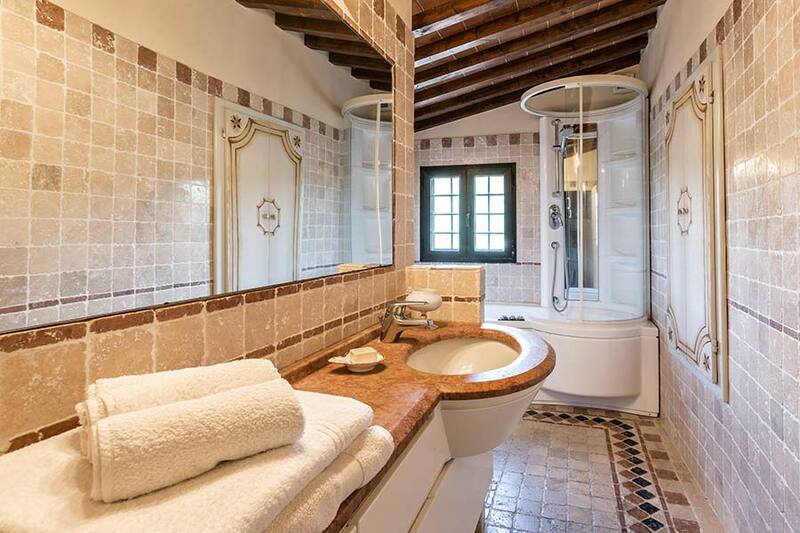 In this uncontaminated and tranquil spot you can spend unforgettable moments of relax which will make your stay in Italy a unique and original experience, in perfect Tuscan style. 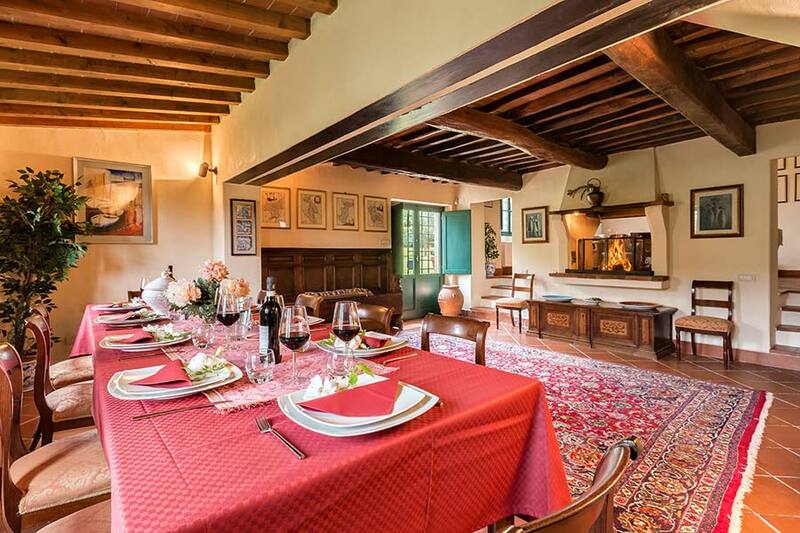 For those who are searching for the real spirit and essence of Tuscany and who appreciate the antique flavour of a special refuge surrounded by nature; for those needing a centralised base from which to visit the natural and artistic beauties of the region. The pool, 6x12mt. 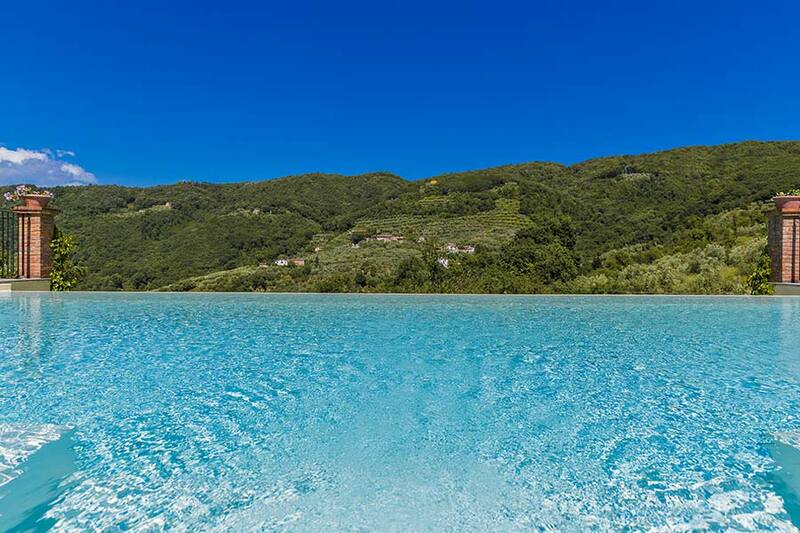 and depth of 1.40mt., is exclusive to the guests of Villa Vaticano Tuscany. 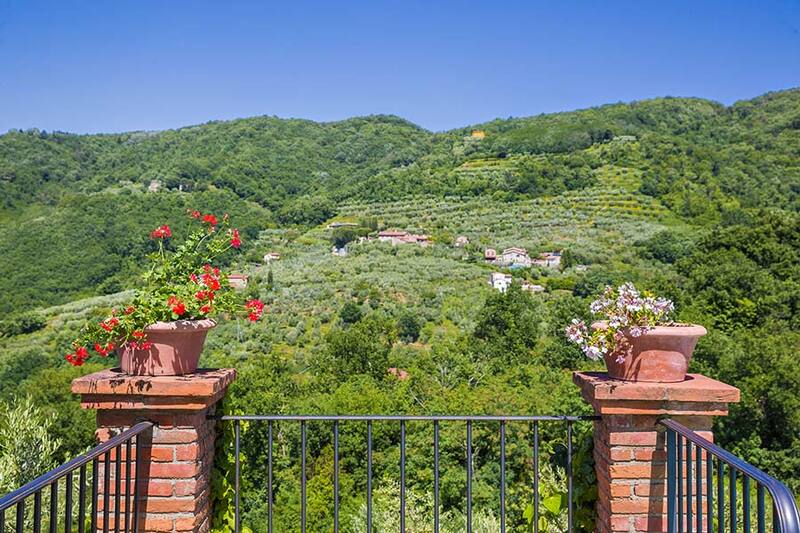 It is situated on a natural terrace a couple of metres below the villa level and has a wide view of the valley below. The cleaning system of the pool insures utmost cleanliness and eliminates any possible inconvenience caused by the chlorine. 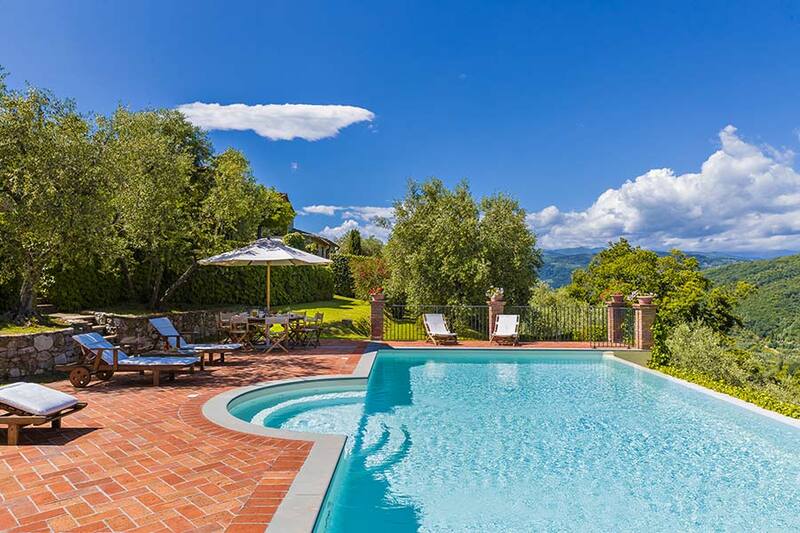 The swimming pool has an automatic system for maintaining the correct values of the PH and of the chlorine. 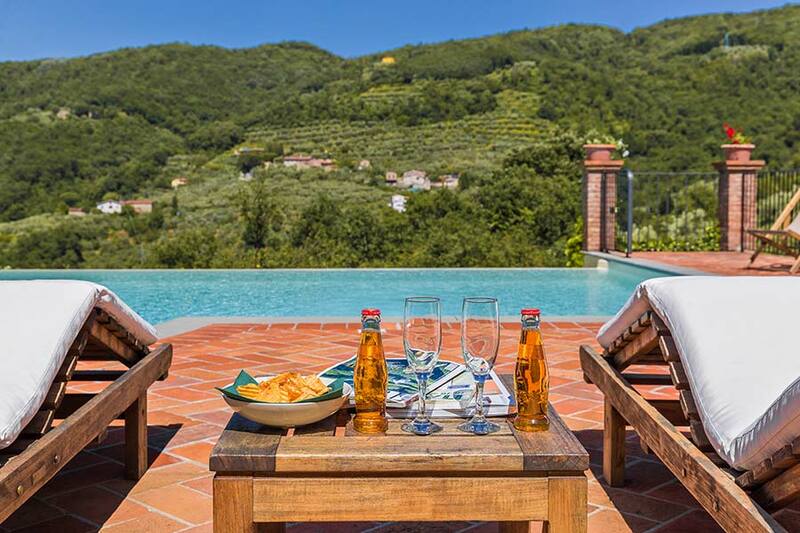 Around the pool there is a large sunbathing area with umbrellas, chairs, tables and sun beds. Further down to the right of the pool there is another relaxation area with a gazebo and chairs. 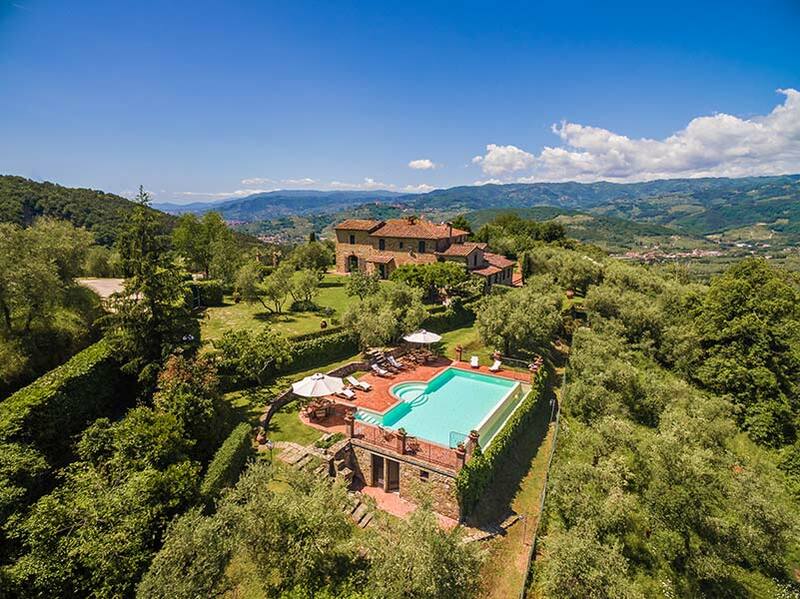 Villa Vaticano Tuscany is a typical historical Tuscan villa with exclusive swimming pool. 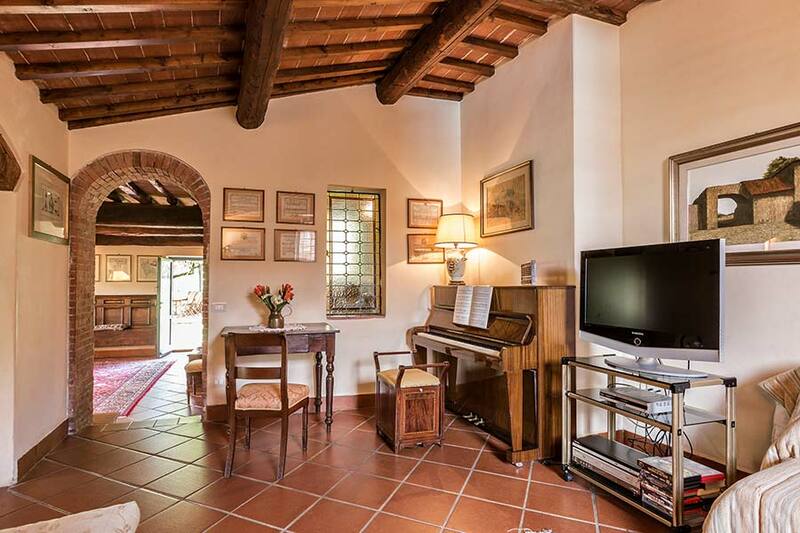 This independent villa, built in the second half of the 18th century, is located on the last western slopes of Mount Albano, approximately 250mt. above sea level. 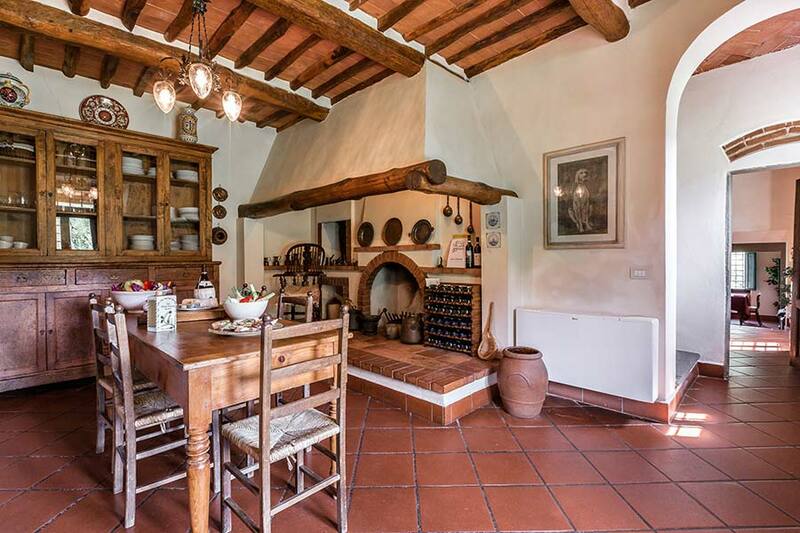 Originally it was composed of two farm houses which have been joined together (maintaining however a total independence if required during the Winter season). 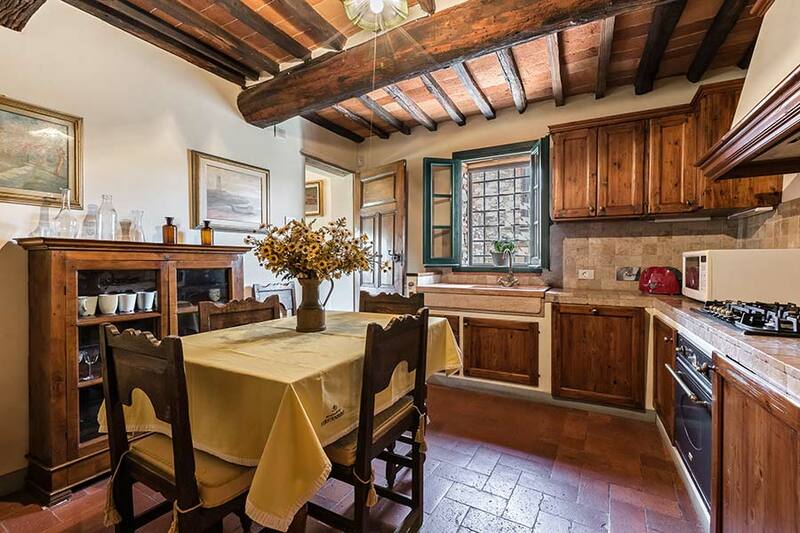 Explore the Villa Vaticano Tuscany map: Ground floor, First floor and the intermediate floor. 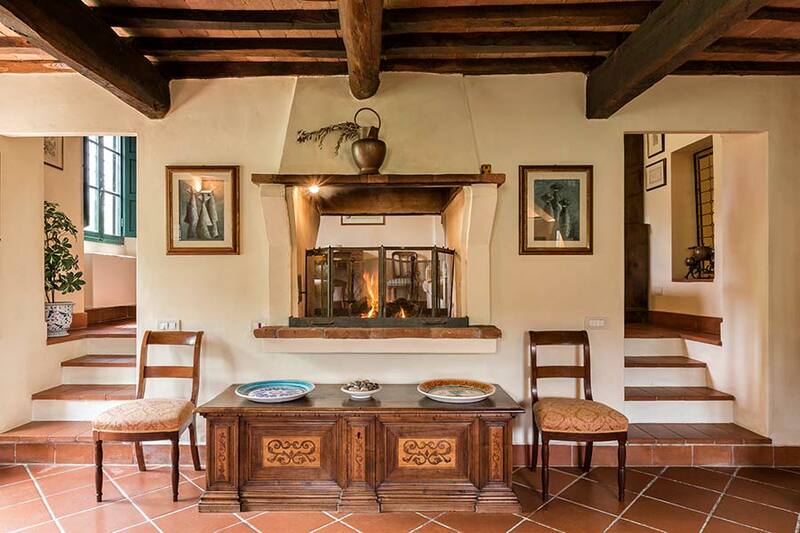 For almost 50 years the owners have cultivated their passion for antiques and have furnished the villa with pieces acquired from antique dealers, auction sales or antique fairs. 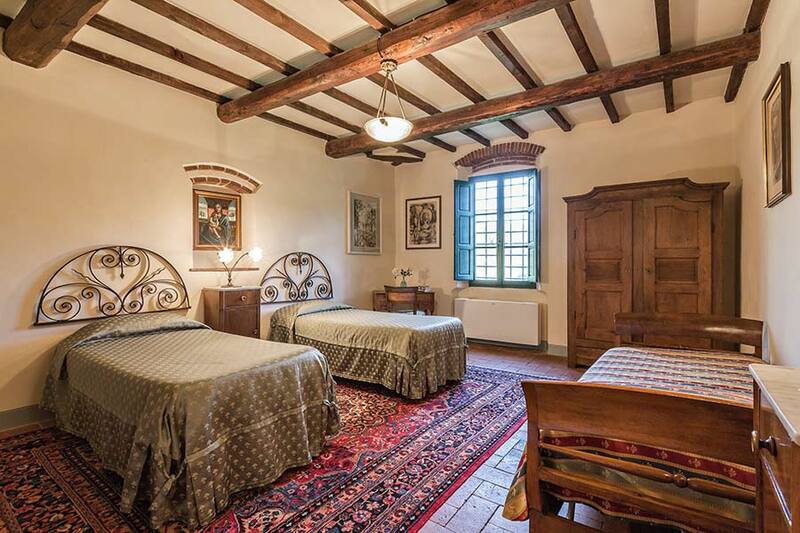 Some of the more particular pieces are the beautiful doors of the walk-in wardrobes in two of the bedrooms, the wooden 17th century plaque from a Florentine convent above the door of one of the lounges. 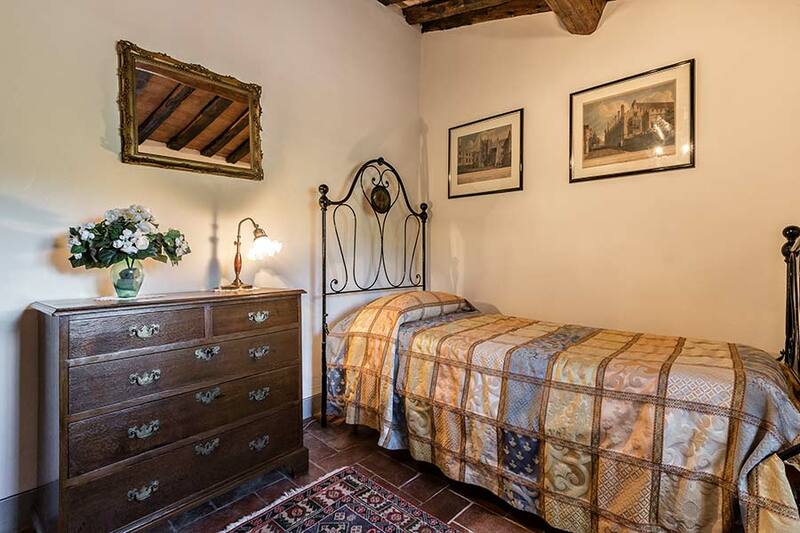 Two of the bedrooms have Empire wardrobes and chests of drawers. 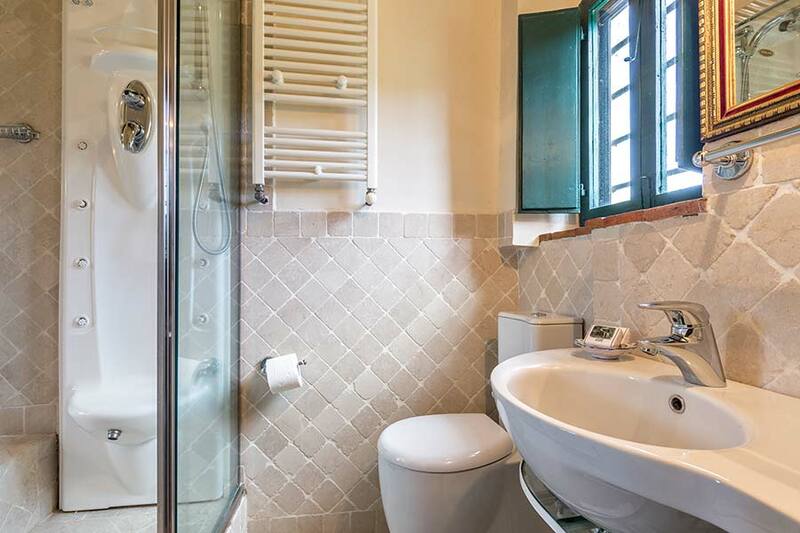 The owners’ taste is eclectic and includes some pieces of Liberty period furniture, for example, the French mirror in the green bathroom and the Sicilian chest of drawers in the yellow bedroom. There is a late Empire sideboard in another of the lounges. 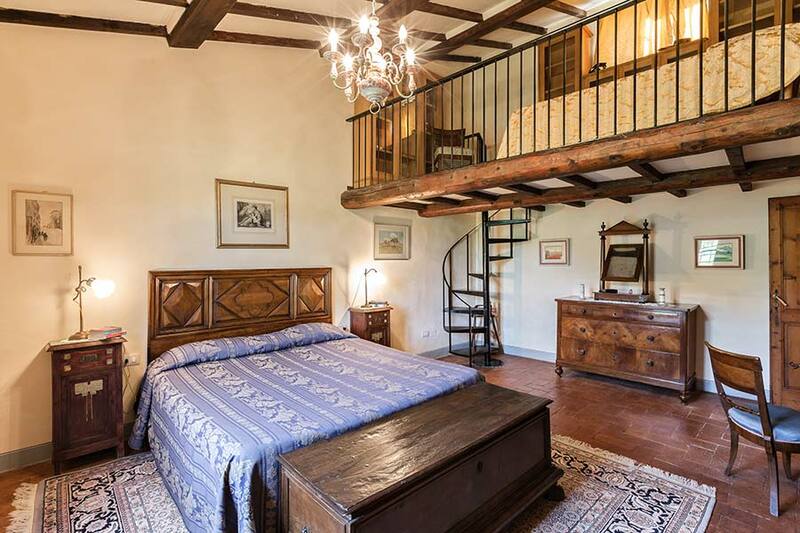 There are many antique prints on the walls, including geographical maps of various countries, and in some of the bedrooms and lounge rooms there are chests of the 16th and 17th century. 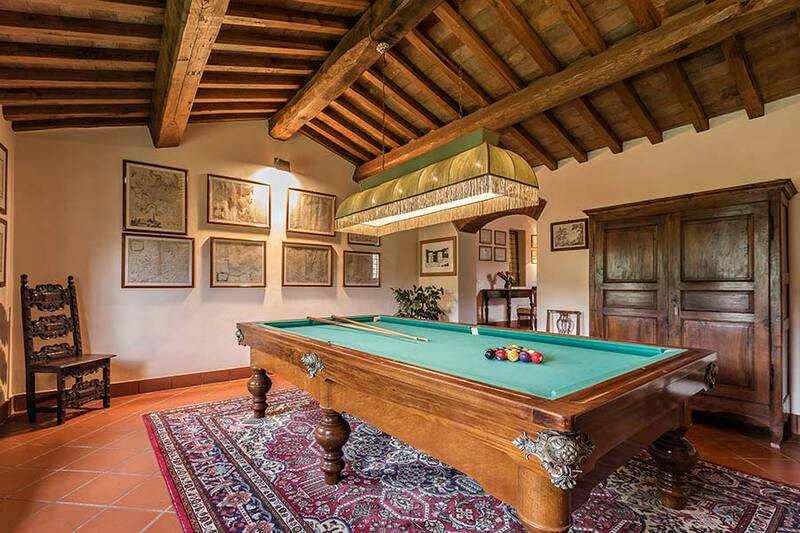 Another remarkable piece is the billiard table, dating back to the early nineteen hundreds – in perfect condition. 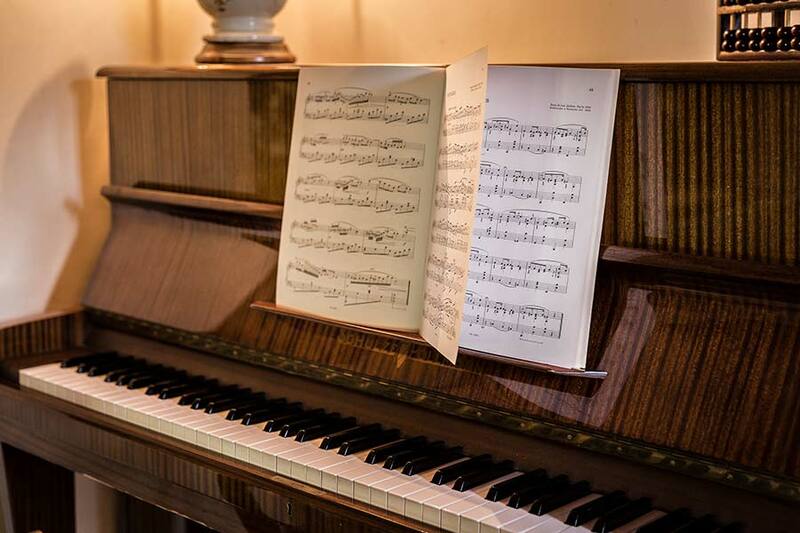 Many other pieces, more or less important, have all been chosen in the spirit of tracing our roots back to the past. Also in the garden one can find stone pieces, as well as old terracotta Tuscan vases. 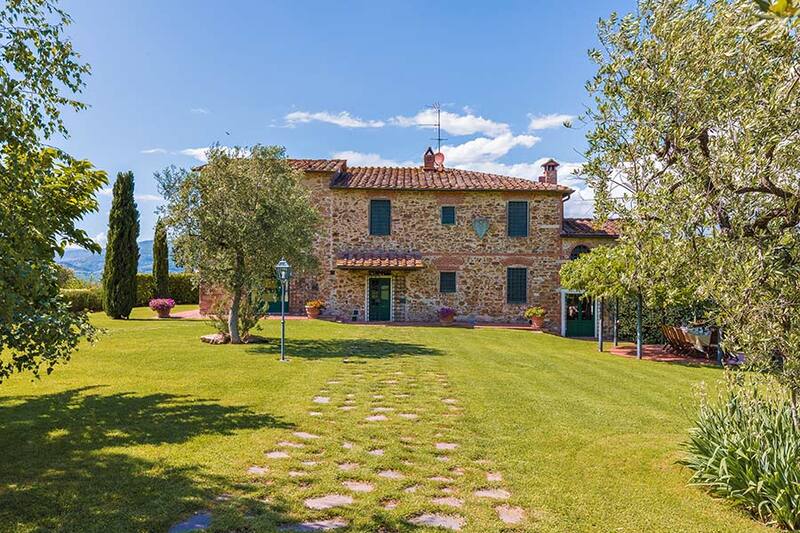 Villa Vaticano Tuscany is in an area called the Valdinevole, as yet not ruined by mass tourism, and presenting all the characteristic natural and artistic aspects of the Tuscan countryside. public transport (buses and taxis) are down in Monsummano (3 km) and the train station is in Montecatini (8 km, no traffic noise, small dogs are allowed. Period from 21 December to 11 January 2020: requests for periods inferior to a week will be taken into consideration.